Leadership, positive emotions, and making a difference — Maestro Quality Inc.
First of all, you have to understand that change happens daily, not in a day. It might not seem like you can make a difference but you can. Every great fire starts with a single spark. My mission is to ‘inspire others’ and for me that just means two things: give without any expectation of receiving, and leave people in a better place than they were when you met them. Recently, in particular I feel compelled to write and capture (in my mind) what it means to change the world, one act of kindness at a time. Our world is fast changing at a speed I think we find difficult to keep up with. As a single mother of a 14 year old daughter, I can’t help but notice how scary the world is. Having said that, I feel so fortunate we live in Canada. Here are 4 ways that you can make a difference in the world today … and they don’t even have to cost you any money. Those who know me know I am present with people, super curious and authentically interested in those I’m in an interaction with. This comes naturally for me – certainly the curious part. The other stuff I had to work hard at. There is enough negativity in the world. Be different. Being negative is boring. Anyone can do it as it requires no talent. We all have a circle of influence. Those around us tend to take on our behaviors and attitudes. Think of how refreshing it would be if there was less judgement and criticism in this world. I challenge you to only encourage, lift people up and engage in positive communication for one week. You will start to see a difference, not only in your life but the people around you. This is not hokey, I promise. Find out about the world. Not just geo-political issues but really how others operate in the world. What gut wrenching conditions a great many have to live under. I come back to being a single Mom - I see what other single Moms have to do to just get their child to school or a little food in their belly and the staggering sacrifices those Moms have to make. I adopted my daughter from China 13 years ago and although China is one of the richest countries on our globe today, it still remains in the dark ages on social justice. I KNOW the sacrifice my daughter’s birth mother had to make by giving up this baby girl who has been the light and joy of my life! I also reference the incredible work I get to be part of through and with my colleagues, and the dedication they have for all the global projects we get to be part of by way of the Templer Foundation’s Early Intervention program in Africa and Nicaragua and Kim Ward’s work with the Women’s Outreach Program in Nepal. Learn, research, take time to understand what’s around you apart from the immediate bubble you’re in. The smarter you become, the more opportunities that you will have to provide intelligent dialogue during conversations – all positive, of course. I am not talking about pompous learning. Do you plan on voting in the next election? Ahhhh there’s a question I had to ask too many times with my American friends in the past year. Well, do you really know what the candidates believe and how they might have an impact on the world around them? Read articles on the internet, it has more answers than an irrational comment section on Facebook or an ill-willed meme on Twitter. A Harvard study found that the more people volunteered, the happier they were. If you want to live better and have a higher sense of self-worth, then volunteer. More importantly, though, if you want to make a difference in someone else’s life, then offer. There are so many needs in this world, from serious issues like poverty and homelessness to less serious needs of struggling to make a basket (or quilts, such is the case with our women in Nepal). The old saying goes, “Talent is God’s gift to us and what we do with it is our gift back to him”. In other words, we all have talents. Can you utilize these to benefit someone else? Don’t have money to feed the poor? That’s okay, the local food kitchen has the food but they need someone to serve it. I challenge you to do something in the next week that is bigger than yourself. Volunteer for something that helps someone else. It is now your turn to make a difference in this world. Will you choose to be a victim? A passenger in the car of life or will you take the wheel and steer? 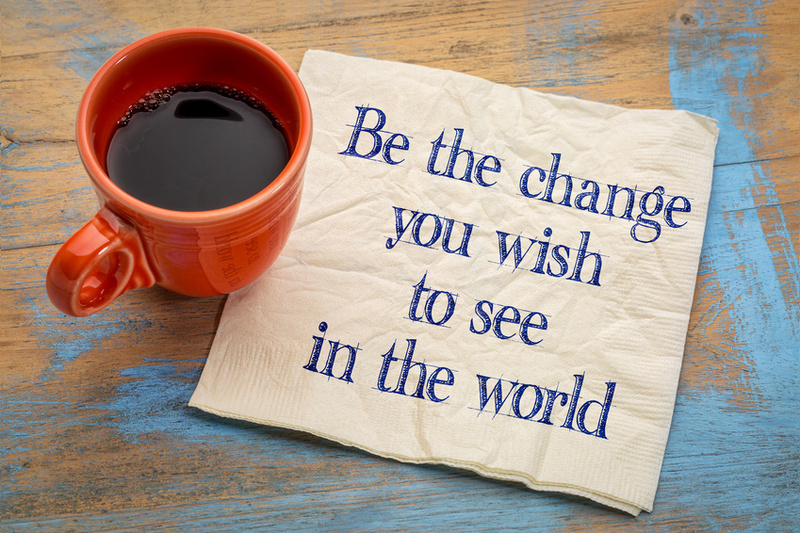 Will you make a difference and do what you can? About Susan Robb: Susan is an agent for several well-known inspirational speakers. She has been a seasoned senior business development consultant since 1995. including a successful facilitator and executive coach. Over the past 25 years, Susan has helped senior executive teams produce real change in organizational strategy and human capital, significantly impacting organizational profitability and alignment for success. Prior to founding Performance Management Consulting in 2015, Susan held several sales, training and leadership roles with FranklinCovey, an international leader in true human capital and performance. During her tenure at FranklinCovey, she partnered with a broad spectrum of international clients, including Magna, Ford Motor Company, Chrysler, GM, Martinrea, Kraft, CIBC, Royal Bank Insurance - to name a few. Susan’s primary success with each of these clients lay in understanding organizational prerogatives and working to help align the staffing, systems, structures, competencies, and stakeholder expectations around identified chief concerns and matching capabilities to ultimately impact the issues for a significantly increased bottom line for profit, positively impacting people and sustainability. At Performance Management Consulting (once King & Kennedy, Inc.) Susan was also a Jr. Partner of The Galileo Initiative, an internationally recognized authority on change, behaviour modification, communication, consulting, training and development. Susan worked with executive teams and senior management around the globe. Did you enjoy Susan's post? Contact Susan at msusanrobb3@gmail.com or phone 905-691-3078. Follow and connect with Susan on Social Media. Twitter. LinkedIn.